PHOTO BY MATT DETURCK Three professional office buildings on Mount Hope and Elmwood avenues will be torn down next month for the College Town project. Demolition of three older office buildings on Mount Hope and Elmwood avenues will mark the beginning of the College Town project next month. The 16-acre mixed-used development targets the west side of Mount Hope between Elmwood Avenue and Crittenden Boulevard. The project was initiated by the University of Rochester to help integrate the institution and the neighborhood. Plans for College Town include a Barnes and Noble — which will be UR's official campus bookstore — hotel and conference center, offices, grocery store, and street-level retail with apartments above. There will also be at least 10 units — of 150 total — of affordable housing, something that City Council President Lovely Warren fought to include. The project is receiving a fair amount of public support, including a $20 million federal loan, county tax credits, city grant, and it is included in the Finger Lakes Regional Economic Development Council's package of projects it wants the state to fund. The latter move could net College Town an additional $4 million. Warren says College Town is worth the investment because of the jobs it will create, the affordable housing component, and the sales-tax revenue it will generate. Estimates are that the $100 million project will create approximately 580 new jobs. Warren says College Town will also provide needed services for UR employees and for patients of Strong Memorial Hospital and their families. "They may need supplies really quickly and they have to go outside of the city to get them," she says. The project's site plan is currently being reviewed by the City of Rochester. 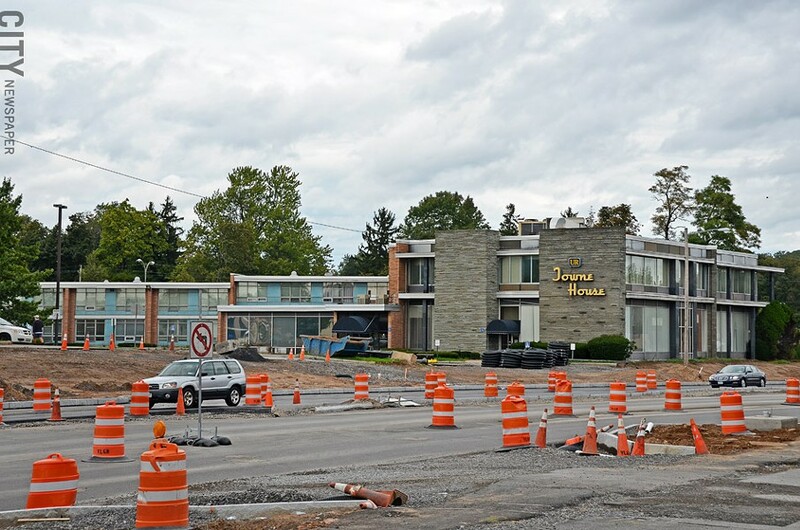 A representative of Cleveland-based developer Fairmount Properties says construction should begin in the spring, with a grand opening targeted for late summer 2014.